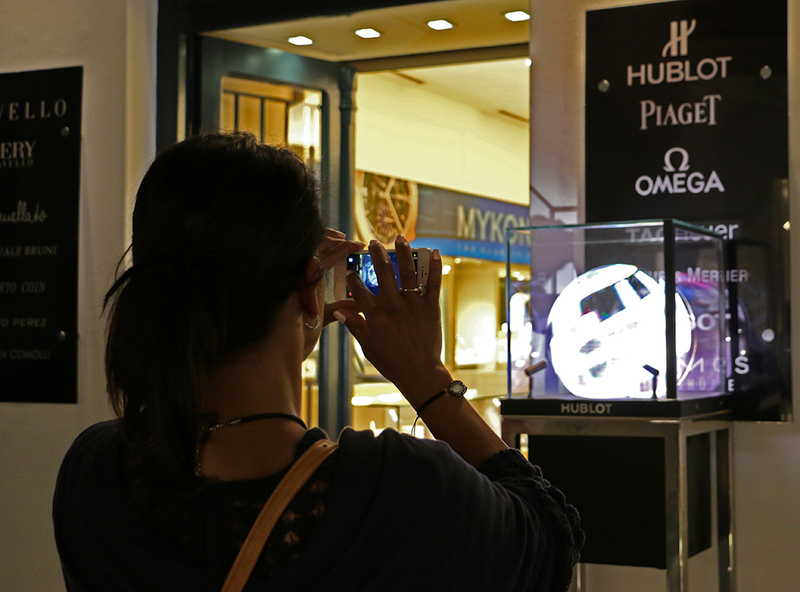 Hublot Sphere display case at Gofas in Mykonos. 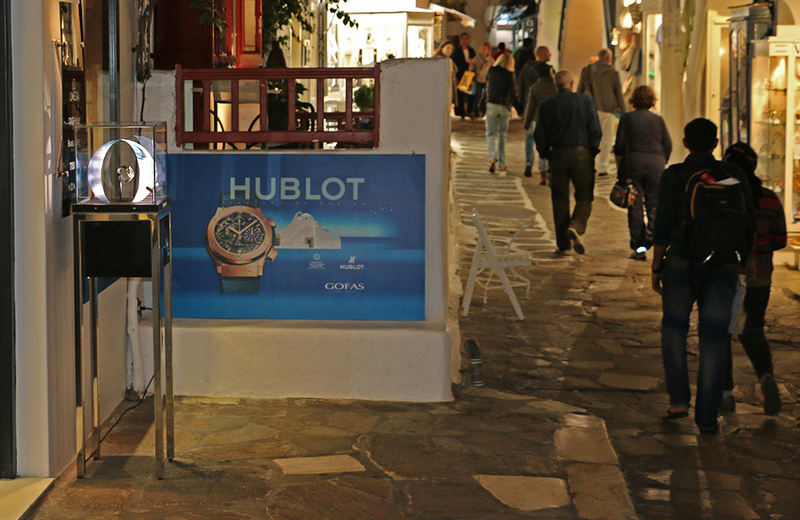 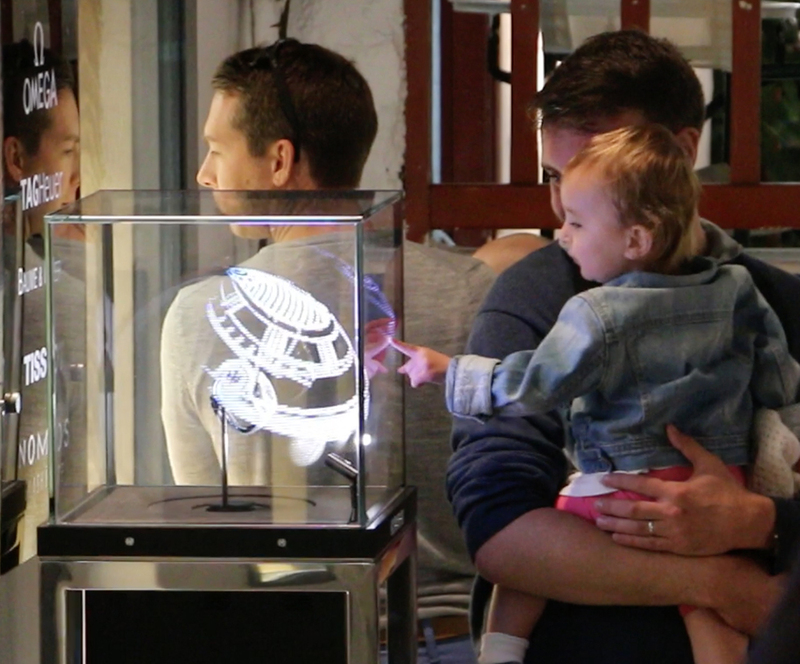 The extraordinary Hublot Sphere showcase brightened up the streets of Mykonos during the summer. 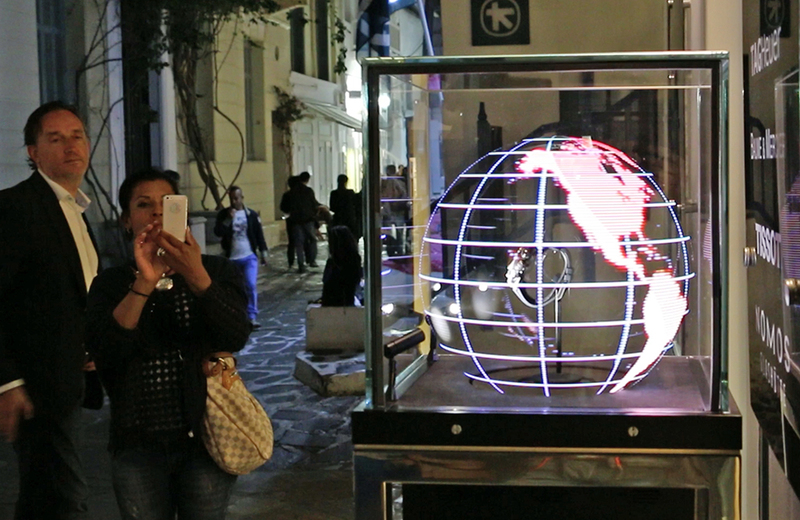 Day or night, it was impossible to miss!